It was the time of the French Revolution a time of great change and great danger. It was a time when injustice was met by a lust for vengeance, and rarely was a distinction made between the innocent and the guilty. 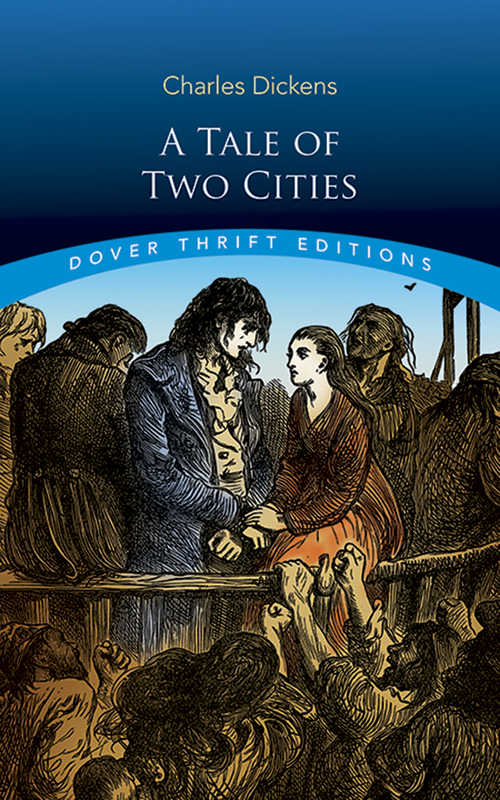 Against this tumultuous historical backdrop, Dickens' great story of unsurpassed adventure and courage unfolds. Unjustly imprisoned for 18 years in the Bastille, Dr. Alexandre Manette is reunited with his daughter, Lucie, and safely transported from France to England. It would seem that they could take up the threads of their lives in peace. As fate would have it though, the pair are summoned to the Old Bailey to testify against a young Frenchman Charles Darnay falsely accused of treason. Strangely enough, Darnay bears an uncanny resemblance to another man in the courtroom, the dissolute lawyer's clerk Sydney Carton. Brilliantly plotted, the novel is rich in drama, romance, and heroics that culminate in a daring prison escape in the shadow of the guillotine.